The objectives and goals of the Southern Swedish Malignant Melanoma (SSMM)are to develop, build and utilize cutting edge biobanks and OMICS platformsto better understand disease pathology and drug mechanisms. The SSMMresearch team is a truly cross-functional group with members from oncology,surgery, bioinformatics, proteomics, and genomics initiatives. Within theresearch team there are members who daily diagnose patients with suspectmelanomas, do follow-ups on malignant melanoma patients and remove primaryor metastatic lesions by surgery. This inter-disciplinary clinical patientcare ensures a competence build as well as a best practice procedure wherethe patient benefits. Clinical materials from patients before, during and after treatments withclinical end points are being collected. Tissue samples as well as bio-fluidsamples such as blood fractions, plasma, serum and whole blood will bearchived in 384-high density sample tube formats. Standardized approachesfor patient selections, patient sampling, sample-processing and analysisplatforms with dedicated protein assays and genomics platforms that willhold value for the research community are used. The patient biobank archivesare fully automated with novel ultralow temperature biobank storage unitsand used as clinical resources. An IT-infrastructure using a laboratory information management system (LIMS)has been established, that is the key interface for the research teams inorder to share and explore data generated within the project. The cross-sitedata repository in Lund forms the basis for sample processing, together withbiological samples in southern Sweden, including blood fractions and tumortissues. Clinical registries are associated with the biobank materials,including pathology reports on disease diagnosis on the malignant melanoma(MM) patients. We provide data on the developments of protein profiling and targeted proteinassays on isolated melanoma tumors, as well as reference blood standardsthat is used by the team members in the respective laboratories. These pilotdata show biobank access and feasibility of performing quantitativeproteomics in MM biobank repositories collected in southern Sweden. Thescientific outcomes further strengthen the build of healthcare benefit inthe complex challenges of malignant melanoma pathophysiology that isaddressed by the novel personalized medicines entering the market. Malignant melanoma is a disease that is increasing in the industrialized world. InSweden approximately 2800 new cases are diagnosed every year and 500 patients die ofdisseminated melanoma every year. At the time of diagnosis 10-15% of these casesare considered advanced and this late discovery of the disease means a very poorprognosis. For malignant melanoma there is today no curative treatment when thetumor has disseminated, because malignant melanoma is relatively resistant to bothchemotherapy and radiotherapy . The prevalence of mortality due to malignant melanoma is increasing andaccounts for 4% of all skin cancers. Melanoma is a malignancy ofpigment-producing cells (melanocytes) located predominantly in the skin, where itcauses the greatest number of skin cancer-related deaths worldwide. The increasingnumber of elderly people in society, i.e., above 65 years has a hugeimpact on the healthcare costs, and continues to escalate in the near future.Therefore new developments are essential for hospitals to improve healthcareefficiency as well as provide superior healthcare to patients. The current researchdevelopments and future healthcare solutions are expected to be closely linked tothe utility of biobank initiatives. A paradigm shift is under development, usingfuture 4P medicines, that is expected to introduce a paradigm shift in medicalpractice. The 4P Medicine is one of the most innovative future visions, thatcurrently is under development, with the objective to develop:personalized/predictive/preventive/participatory treatments . Global access to biobank samples associated with clinical data, as well asstandardizations is key factors in order to serve the patients on a global scale.The number of biobanks is increasing as well as the number of samples that theselarge archives hold. In order to improve on efficiency and to optimize the sampleper biobank-freezer area, which includes robotic handling and processing ofindividual sample tubes, miniaturization is crucial. The miniaturization istechnology driven, which results in less sample consumption for each assay, as wellas a decrease in overall blood handling for the hospitals. Accordingly, this has adirect impact on biobank blood storage requirements, where the ultimate goal is toreach lowest cost per sample on a given −80°C storage units . Currently biobank sources are being used more extensively in order toundertake large population based studies, from where new diagnostics and novel drugscan be developed. Biobanking was recently nominated as one out of ten most importantideas changing the world right now . Today we have a lack of reliable diagnostic tools that can identify early malignantmelanoma as well as lack of sensitive methods/tools to follow the progression of thedisease, monitor the treatment or identify patients in high and low risk groups,respectively. A number of markers associated with malignant melanoma (e.g.S-100 and 5-S-cysteinyldopa) are under investigation, but their relevance tomelanoma progression, clinical outcome and the selection of optimal treatmentstrategies still needs to be established . Recently mutations in B-RAF (v600E) have been identified as animportant driver of malignant melanoma. Inhibitors to B-RAF have likewisebeen shown to very favorably affect melanoma growth. More than 50%of melanomacases harbor mutations in the gene. In published phase III clinical studies [6, 7], the median progression free survival is 6 month mainly due todevelopment of resistance to the treatment. The Department of Oncology at SkåneUniversity Hospital has participated in clinical trials withB-RAF-inhibitors. Characterization of the somatic melanoma mutations inB-RAF (v600) will lead to a better understanding of developmentalpathways of melanoma. Possible targets for melanoma therapy are delineated withrelevant inhibitors already in research or on its way out in the clinic. In thisproject we aim to find new tumor markers for malignant melanoma with an ultimategoal to apply these findings in the clinic, with an ability to investigate drugimpact and mechanisms of drug action, as well as getting a better understanding ofMM pathophysiology. An ultimate goal for the SSMM is to organize the biobank patientsamples in a systematic way by harmonization in order to provide the highest qualityof the MM archive . Metastatic tissue from malignant melanoma cancer patients was obtained from theSkåne University Hospital and other hospitals in the southern part ofSweden. Ethical approval was granted by the Lund University (approval number:DNR 1912007). 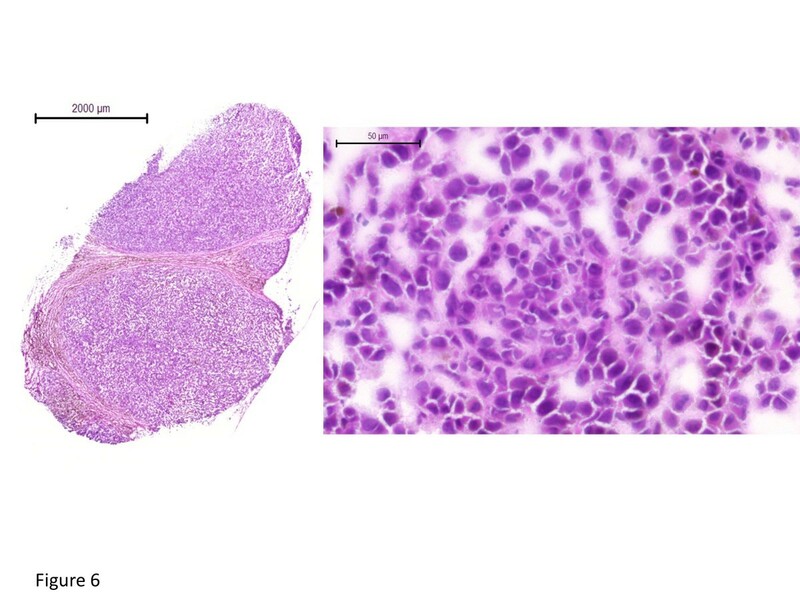 Cryostat thin slices, 10 μm of thickness, of lymph node metastases frompatients with malignant melanoma, stage III, participating in the South Swedishstudy, were prepared using a Leica CM5030 cryostat. Serial sec-tions were placedupon frosted end microscope slides (Menzel-Gläser) and air-dried followedby incubation at 37°C for 30 min. The slides were then stained withHematoxylin–Eosin. Proteins were extracted with AllPrep DNA/RNA/Protein Mini Kit (Qiagen) accordingto manufacture’s instructions. The extracted proteins were precipitatedwith ice-cold acetone to a final concentration of 80% acetone. Samples wereincubated for 30 min at −20°C followed by centrifugation at16000 g for 2 minutes. The supernatant was removed, andthe protein pellets were allowed to air dry. The dried protein pellets wereresolved in 8 M urea in 50 mM ammonium bicarbonate (pH 7.6).Protein concentration was determined by the BCA method (Pierce). The proteinswere reduced with 10 mM dithiolthreitol (1 h at 37°C) andalkylated using 40 mM iodoacetamide (30 min, kept dark at roomtemperature). Following buffer exchange with 50 mM ammonium bicarbonatebuffer (pH 7.6) by using a 10 kDa cut-off spin filter (YM10 filter,AMICON). The samples were digested with sequencing grade trypsin (Promega) inratio 1:100 w/w (trypsin: protein) overnight at 37°C. Crude peptides were supplied by Thermo Scientific. Three mixtures were createdfrom the crude peptides, ca. 15 peptides in each and one mixture with aconcentration of 50 fmol/μL of each peptide. The transition lists werecreated in Skyline v1.2 software (MacCoss Lab). Primarily, high numbers oftransitions, all possible y-ion series that matches the criteria (fromm/z > precursor-2 to last ion-2, precursorm/z exclusion window: 20 Th), were selected for each peptide atboth 2+ and 3+ charge states. The peptide mixtures were analyzed by nanoLC-MS/MSusing a TSQ Vantage triple quadrupole mass spectrometer equipped with an Easyn-LC II pump (Thermo Scientific, Waltham, MA). The samples were injected onto anEasy C18-A1 pre-column (Thermo Scientific, Waltham, MA), and following on-linedesalting and concentration the tryptic peptides were separated on a75 μm × 150 mm fused silica column packed with ReproSil C18(3 μm, 120 Å from Dr. Maisch GmbH, Germany). Separationswere performed in a 45-min linear gradient from 10 to 35% acetonitrilecontaining 0.1% formic acid; at the flow rate of 300 nL/min. The MSanalysis was conducted in positive ion mode with the spray voltage anddeclustering potential were set to 1750 V and 0 V, respectively. Thetransfer capillary temperature was set to 270°C and tuned S-lens value wasused. SRM transitions were acquired in Q1 and Q3 operated at unit resolution(0.7 FWHM), the collision gas pressure in Q2 was set to 1.2 mTorr. The cycletime was 2.5 s in the non-scheduled methods and 1.5 s in the scheduledmethods. The best transitions (3–5 per precursor) were selected by manualinspection of the data in Skyline and scheduled transition lists were createdfor the final assays. The selected transitions were tested in real matrix alsoby spiking the heavy peptide mixtures into human malignant melanoma tissuedigests. Disease presentation and clinical sample collections are key strategic resourcesthat need to be installed in order to build on a disease understanding thatgenerates the next generation of modern treatments and diagnostics for MMpatients. In that respect, there are an increasing number of large-scalepopulation-based studies currently collecting vast numbers of clinical samplesinto biobank repositories . These sample collections will be the source of much information inthe years to come. The UK Biobank has collected blood samples from 500,000participants in the study, which are stored in −80°C freezers in theUK Biobank in Manchester(http://www.ukbiobank.ac.uk/about-biobank-uk), whereas a Swedishinitiative with automated processing and robotic handling and sorting isgenerating millions of sample tubes over the years . In this context, the human proteome initiative, that will map all ofour human proteins, are stakeholders in these biobank establishments . The strategy of the SSMM research group is to harvest the values in the clinicalMM materials that are built in our automated large-scale biobank. We willutilize blood fractions as a resource for biomarker and genomics studies as wellas tissues from drug treated patients, where the spatial drug distribution intissue is mapped by imaging mass spectrometry [11, 12]. In order to improve on both the efficacy and safety profiles ofnovel medicines, a detailed understanding of both drug characteristics, andmechanism of drug action is needed. The new generation of targeted personalizedmedicines are steadily increasing, in healthcare today with good treatmentprognosis. The pharmaceutical companies have filled up their productionpipelines, perusing clinical studies, and are expected to reach the market withthese novel chemical entities. An improved understanding of genetic heritage and RNA expressions in MM are offundamental importance in order to discover the genetic factors that can groupthe patients within MM [13, 14]. The correlation with protein expression and disease function is keyin order to understand the disease biology in MM. Within the research team thereare members who daily diagnose patients with suspect melanomas, do follow-ups onmalignant melanoma patients and remove primary or metastatic lesions by surgery.The clinical demographics and registry data will be used in combination withOMICS data, where we will apply bioinformatics to predict MM correlations. Thecross-functional approach is depicted in Figure 1,illustrating the interplay in-between the clinical units and the research teamsin a collaborative effort. 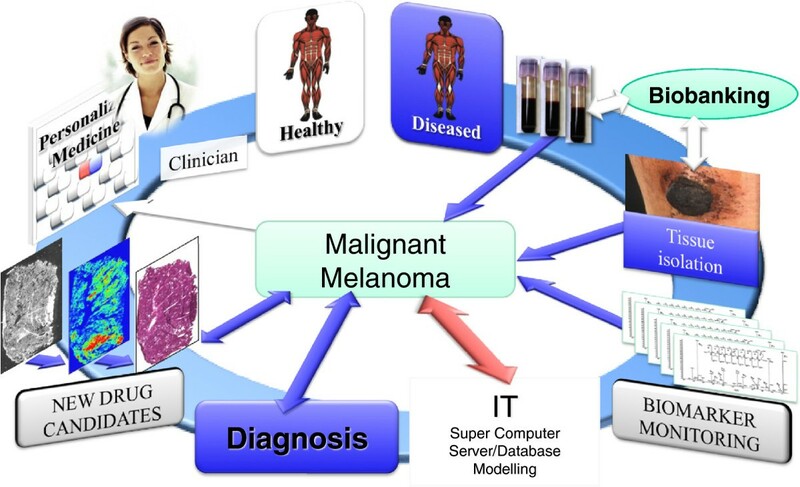 Illustration of the strategy to address malignant melanoma asorganized by the Southern Swedish Malignant Melanoma (SSMM) researchteam. Our objectives within SSMM are to work integrated to the clinical treatment of MMpatients and collect samples as well as clinical data. This is crucial as eachsample provides a snapshot of the disease processes in place at the time ofsampling . All of these biobank samples will be archived, using standardizedprotocols and procedures to ensure highest possible quality. As blood is themost common bio-fluid, that can be globally accessed and compared for clinicaldevelopments, our strategy for MM biobank developments is to collect both plasma(EDTA, citrate, heparin), as well as serum, and whole blood. The sampleprocessing procedure that will be applied is shown in Figure 2, with the high-density tube system, that was recently validatedfor Biobank purposes . 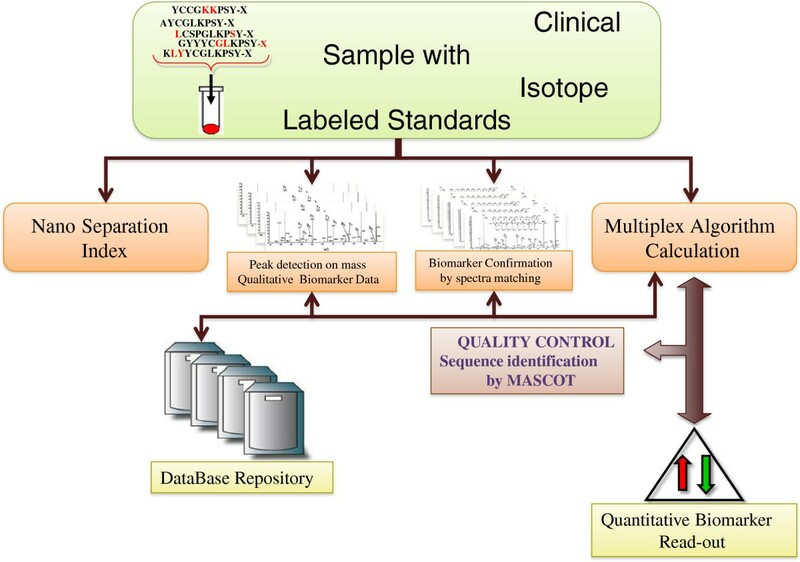 Blood sample processing workflow with 384-tube format storage,providing a complete tracking and 2D bar coded guidance of eachindividual sample tube within the study. There is a necessity to use standardized methods for long-term cold storage thatshould include internal standards to measure spontaneous sample decay over time . Standardization and best practice has reached a global status by the“NCI Best Practices for Biospecimen Resources” document from the NIHin the US (http://biospecimens.cancer.gov/practices/2011bp.asp). Generally, storage and acquisition of sufficient numbers of study samples mighttake months or even many years to complete [18, 19]. For these reasons sustainable sample processing and its qualityassurance over time is mandatory. In this way we will ensure high quality of thepatient material that will make the comparative MM studies possible. For each blood type, forty-eight blood fractions were generated as 70 μLaliquots. 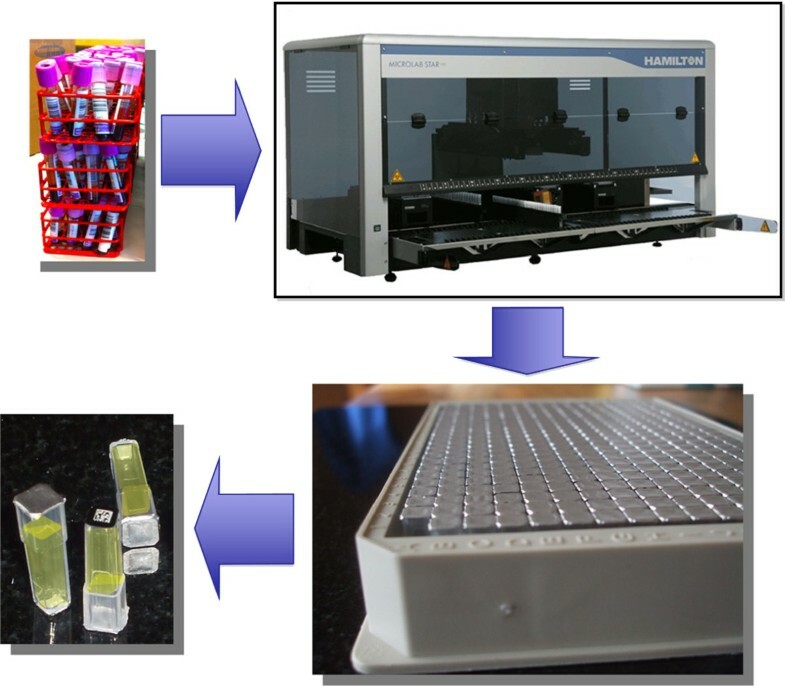 All of these processing steps were carefully controlled by thesoftware of the pipetting robot. There is a standard operating procedure (SOP)that is applied to the protocol with built in criteria and quality assuranceconditions. The successful completion of handling the primary tubes is followedby the completion of a 384-rack, shown in Figure 2.These steps were controlled by the liquid handling robot, linked and interfacedto the LIMS that provides registered data control of each step processed withinthe blood fractionation processing. The sequencing of the human proteome will be performed with a Gene-Centricstrategy, where the Gene-Coded Proteins will be addressed, based on previousgenomics studies in MM [13, 14]. There is a future important ambition of future OMICS research, which relates todetermine how the annotated regions of the genome control the production ofprotein annotations. The research community currently links the Encyclopedia ofDNA Elements (ENCODE) consortium that reveals rapid progress in deciphering thehuman genome with the human proteome . When adequate numbers of samples are stored, analysis will beperformed using standardized sample preparation and OMICS analysis with state ofthe art sample separation protocols. The technology developments withingenomics, proteomics and metabolomics are impressively fast. These advancementswill drive healthcare efficiency where the human genome map complemented by themap of human proteome will be used as key cornerstones . The correlation in-between the human genome, the transcript regulations and theproteins that are being expressed in the human body is key in R&D withinclinical sciences, as illustrated in Figure 3. One ofour MM strategies is to run: i) Genome mining, ii) Proteome-deep mining and iii)targeted protein screening. Proteins are usually modified after synthesis in thecell, and it is the post-translational active form of the target protein that inmost diseases forms the basis for drug developments. OMICS strategy with genomics screening platforms linked to shotgunsequencing and SRM protein sequence assay platform. In order to utilize gene-, and proteins as predictors of disease and/ortreatments as for drug responders, more experience and R&D inputs will berequested. For diagnostic quantifying of protein(s) in clinical studies, thereare currently no guidelines from the Food and Drug Administration (FDA) orEuropean Medicines Agency (EMEA). However, there are ongoing biomarker projects,where the FDA in collaboration with the Academics and pharmaceutical industryare looking into standardization procedures for future utilization. This incontrast to the pharmagenomics area whereas guideline for industry has beenintroduced recently(http://www.fda.gov/downloads/RegulatoryInformation/Guidances/ucm126957.pdf). There has been an extensive progress made in the last decade within the area ofproteomics and protein expression analysis. An increasing number of target andbiomarker discovery studies are undertaken in both academia and industry usingshotgun sequencing, utilizing mass spectrometry technology . In addition, today most drug targets are being validated by proteomics assays inthe pharma and biotech industries, providing evidence to the role of the targetwithin a given disease area. In retrospect, one of the first reports that was presented on the ability to mapa protein expression in human blood plasma, was made with 2D gel electrophoresiswith intact proteins, in contrast to the protein digest protocol, followed byLC-MS, that is the most commonly used separation and mass spectrometry platformof today . The marriage and the interface in-between high-resolutionchromatographic separation and mass spectrometry have been a critical part ofthe development of large-scale protein analysis. Today, the mass spectrometerhas become the real workhorse for protein sequencing and proteindeterminations. In studies where the total protein expression is of interest to build on adisease staging profile, shotgun sequencing is utilized. This is a platformwhere the proteins are sequenced within a high-throughput scanning cycle. Theglobal expression studies are generally used in “Discovery phases”including a wide scale analysis of many housands of peptide sequences thatoriginates from digested proteins. This global protein expression analysis fieldis intimately associated with the area of proteomics research. Proteomics oftoday holds the post genomic research activities, in one big research community,where many of the successes will be expected to be deliver on the understandingof the complex disease pathophysiology. In one respect, the proteomics field hasplayed a significant role in opening up a number of doors that has beenimportant for other researchers, such as the clinical field. The current statusis an extensive discovery phase protein candidate delivery that has beenreported on by the proteomics society where still the extended validation ofcandidate proteins, still remains to be pursued. Targeted protein analysis is dedicated to quantification where a specific andsmaller set of proteins is measured in dedicated assays. In the last years, MRMmultiplex assay have become very popular due to their generic concept and theability to generate multiplex quantifications. Currently, protein quantificationis preferably performed with an immuno-reagent base assay technique, where thereare a large number of methodologies available. Protein biomarkers are identified as differentially expressed in clinical samplescomparing for instance clinical status of disease and health. Patients areselected carefully by various clinical criteria, but usually with an emphasis tohave clinical data that group the patients in a given disease group that reflectthe staging of disease. The discovery output will result in a list of proteinswith differential protein expression in relation to a control group. Thetargeted MRM/SRM mass spectrometry assays, identifies and quantifies specificprotein sequences within the sample. MRM/SRM assays offer high-speed analysis,which is a future requirement in high throughput screening of clinical samplesfor candidate biomarkers. Figure 4 illustrates thebasic principles of SRM technology where absolute quantification is reached withmultiple proteins in a single assay cycle. Protein assay development process from Discovery to Targeted MRMassay developments. Within SRM or MRM assays, a series of transitions are made with the targetpeptides that are the precursors, being ionized after the LC-separation andinterfaced to MS. Looking back to decades of biological mass spectrometry andthe recent decade with proteomics studies, it is obvious that all the generatedprotein sequence data, compiled and built within databases is a great asset.These experimental reports provide in many instances not only sequences ofimportance, but also in numerous cases quantitative information regarding aspecific biology of clinical relevance. These data has been generated bothwithin Academia, as well as within pharma-, and biotech- industry. The initial step of an MRM assay development usually relates to applying anin silico step, whereby we can use a selection process, followed byblast searching in protein databases where identified proteins in biologicalsamples can verify the utility of target peptides identified as candidates.Precursors and m/z of the peptide products are keys to the assaydevelopment and should be identify at an early stage. Best practice for rapidassay developments with MRM-MS instrumentations was recently presented . In this respect, peptide libraries used as standards, are invaluabletools in order to funnel the large number of peptide candidates in the insilico processing step that helps make judgments of the most usefultarget peptide candidates for the assay [24, 25]. 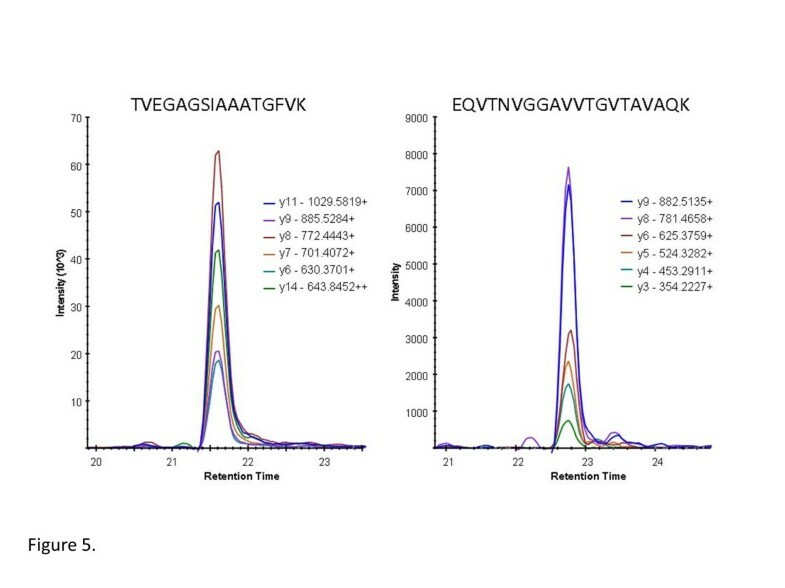 Figure 5 provides assay read-outs from aα-synuclein SRM assay, where we have targeted 2 specific sequences of theprotein. The respective transition of the resulting peptide ions formed in theassay is shown by a differentiation in colors in Figure 5. Possible tools for early detection of metastasis could bemarkers, i.e., molecules produced by the tumor, which may be found inthe blood, such as α-synuclein. Resulting mass spectrometry SRM-spectra from lymph node metastasisisolated from MM patients. SRM assay is targeting two peptidesfrom α-synuclein: TVEGAGSIAAATGFVK (left spectrum), andEQVTNVGGAVVTGVTAVAQK (right spectrum). In order to make progress in the field of malignant melanoma treatment, theprocess of malignant melanoma spread has to be better understood. Identifyingthe expression patterns of proteins associated with melanoma progression mightbring some clarity and better understanding of the progression of malignantmelanoma. The management for patients who have diagnosed MM occurs with or without apersonal or family history of melanoma. The pathologic confirmation of theclinical diagnosis is a key step in patient care and provides a more solid basisfor making further management decisions. An example of a surgically removednodule is shown within the image in Figure 6. Thehistology section stained with H&E is a typical example within the SSMMpatient cohort, and is part of the experimental characterization in order todiagnose the MM patients. Lymph node metastases from one patient with malignant melanoma, stageIII, participating in the southern Swedish study, stained withHematoxylin–Eosin. Within the consortium we have developed an IT-infrastructure, utilizing FDAapproved software for sample and data processing, as well as the link toclinical proteomic units at three hospitals/universities, and with nationalbiobank units. The software network and links in-between the MM research teams are depicted inFigure 7 that ensure an efficient and real-timedata processing capability. 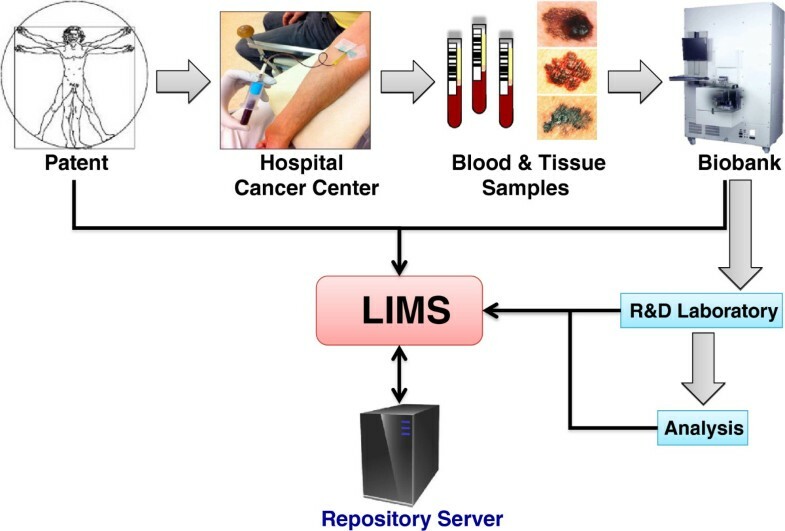 This capability also provides a scheme of thetypical workflow within the Southern Swedish Malignant Melanoma research team.MM patients enter into the hospital and are ruled into the biobank collectionwhere both blood fractions and tissue samples are sampled. These samples areprocessed and stored in 384-tube formats and entered into the bio-storagerepository by robotic processing. 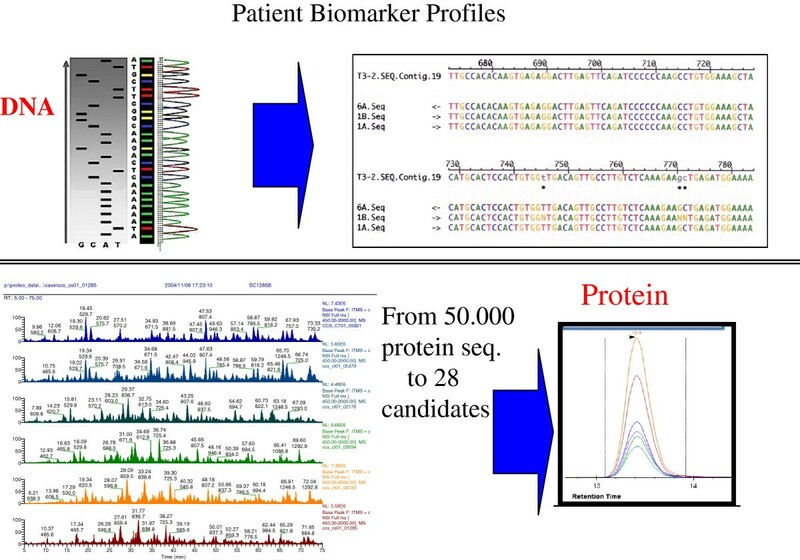 Resulting analysis data from genomic andprotein sequence assays are linked to the 2D barcode of the sample, which iscoupled to the patient within the study. The MM database captures all samples aswell as the corresponding data, and can be reached by MM consortia membersanywhere in the world. Schematic illustration of the Southern Swedish Malignant Melanomawork flow where the patients are sampled for blood and/or goingthrough surgery. These blood samples are processed and aliquotedwhere after they are stored in the biobank archive at −80°C.Each sample is registered and tracked in the laboratory intelligencemanagement system (LIMS). Drug characterization is an ever-increasing research area that currently holds acentral position in both drug developments as well as within hospitals wherepatients are being diagnosed. Classical X-ray is accompanied with MRI, PET andCT for many of the most common diseases including MM. Mass spectrometry imaging (MSI) is a rapidly developing technique that providesdata on the spatial distribution of molecular profiles on a tissue sample. Interms of MM, the MSI can be used to provide evidence of drug presence in tissuemicroenvironments. The distributions of drug and metabolite(s) are measured directly in patienttissue samples with a resolving power of 30 μm . This technology platform enables direct drug measurement wherepharmaceuticals and metabolites can be analyzed, as a cold compound, without anylabeling. It has been gradually accepted that MSI provides rich molecularinformation provided by this mass spectrometry imaging platform. It interfaceswell with general histology, as the staining techniques of tissues arecompatible with MSI. This will provide complementary information, and thusoffers new possibilities in the clinical field. This ranges from new insightsinto the molecular changes associated with pathogenesis. The Southern Swedish Malignant Melanoma research initiative is a stepping-stone inbridging the bioanalytical and clinical gap, providing an integrated platform andwork flow in order to build knowledge and understanding of the molecular andenvironmental basis of human diseases. The ultimate goals that these large andrecent investments into biobank initiatives are striving at are to provide a basisfor improving both diagnosis and treatment of disease in society. The research-, andhealthcare- societies will also need to support the development of integratedinformatics systems that allows for search routines on sample collections, andtypes, as well as data sets that has been generated from these cohorts. In the endof the day, both the Human Chromosome Initiative, as well as other global researchactivities are looking for tools that can bridge the data and deliverables that willbe of major use in future drug development and patient treatments. Unifying thedifferent disciplines will aid in the fulfilling of the big picture that some of uscall personalized medicine and systems biology. The Human Proteome Project (HPP), which is a global initiative, will have animportant contribution by mapping all proteins coded by the human genome. Thisproteome initiative will provide public access to experimental data on the humanproteome, with annotations made in clinical material and in a large number of humandiseases. The purpose of this large initiative is to increase the knowledgeregarding the identification of disease markers, potential targets of therapy, aswell as the insight into variations of expression observed during development,health, and disease (http://www.HUPO.org). This work was supported by grants from Mrs. Berta Kamprad Foundation, SwedishAcademy of Pharmaceutical Sciences, Swedish Research Council, the SwedishFoundation for Strategic Research, Vinnova, Ingabritt & Arne LundbergResearch Foundation, the Crafoord Foundation, Swedish Cancer Society(Cancerfonden) and ERC advanced grant (ERC-2011-AdG 294576-risk factorscancer). CW and MR provided experimental data input, GMV contributed by coordination andmanuscript production, TL, AV, BJ, BB, CI, LL, TB, GJ and HO, contributed equally tothe preparation and finalization of the manuscript. All authors reviewed andapproved the final manuscript.